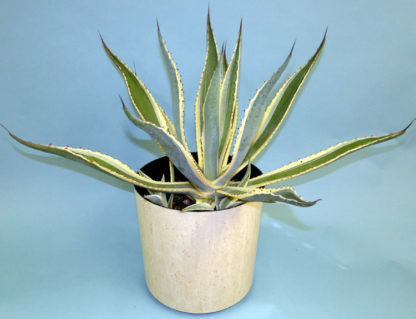 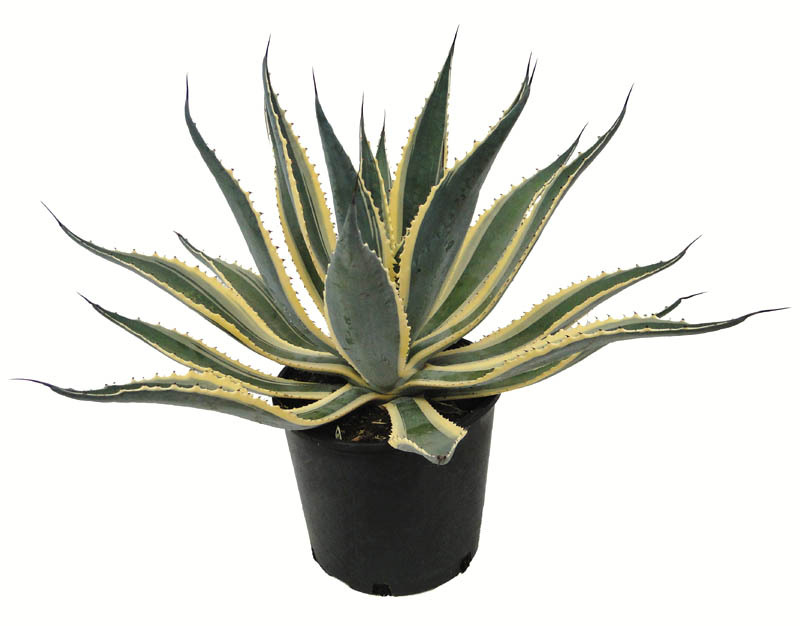 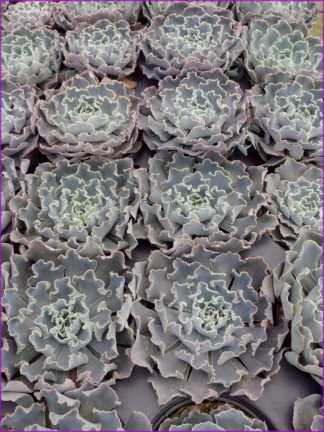 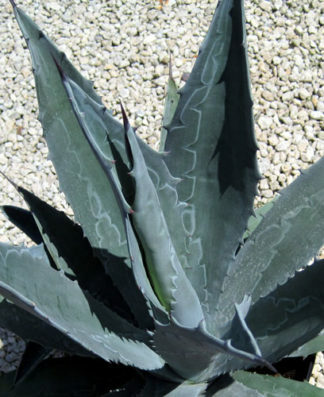 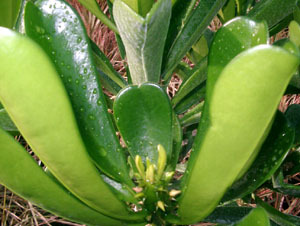 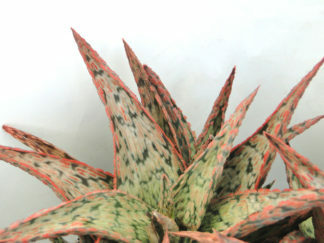 A large rosette forming succulent to 5-6′ tall by 6-8′ wide, with upright slightly wavy gray-green leaves that have strong cream to yellow margins. Plants do not bloom until they are several decades old, and produce a flower spike of yellow-green flowers that attract hummingbirds. 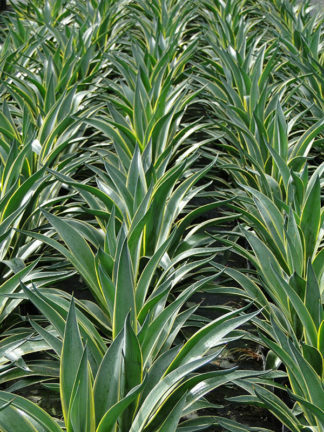 A very dramatic landscape or patio plant. Plant in full sun and irrigate occasionally to not at all.&nbsp; Cold hardy to 15º F.